Star Trek Beyond, the long-awaited third installment of the reboot of the original series, finally opens tomorrow in U.S. theaters. The 50-year franchise built a loyal following with its progressive, ambitious science-fiction, suspenseful action and, possibly most importantly, an interesting, funny, and eclectic cast of characters that fans loved to root for. Early reviews indicate there's plenty of the crew camaraderie we love in the new film. William Shatner and his earnest, staccato delivery of lines made the original Captain Kirk an iconic character on both the small and big screens. It wasn't an easy task for Chris Pine to take over the role in J.J. Abrams' 2009 reboot, but fans and critics warmed to his take on the impulsive, quick-witted, brash leader of the Enterprise crew. Taking the series' original characters back to the beginning, and with an alternate timeline, has given the filmmakers a chance to show how these space explorers became the heroes we've loved for half-a-century. The latest featurette from Paramount, which you can see above, puts the focus on Kirk and his struggles with his new leadership responsibilities. As costar Karl Urban (Doctor "Bones" McCoy) puts it, the captain is "at a crossroads when the crew is fractured." The video explores some of the challenges Kirk faces, like the loneliness of being ship's captain and knowing who to trust in a crisis. As Pine says, the destruction of the Enterprise also parallels his father's final moments: "It brings up a real complex set of emotions, that are tied to really how he was born and who he is." 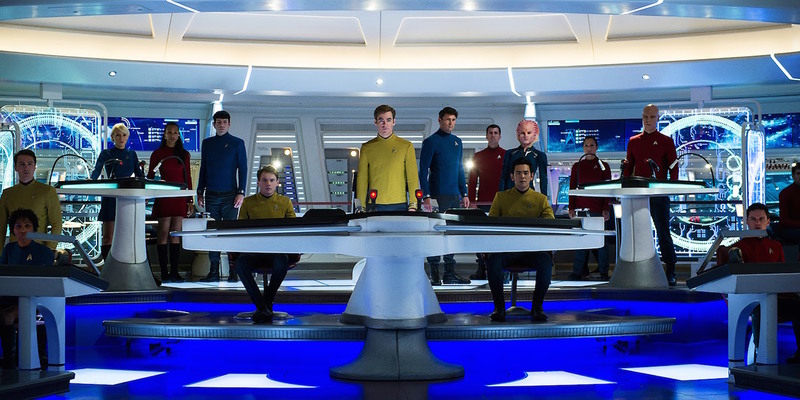 As co-writer and star Simon Pegg (Scotty) told Screen Rant at an early screening of Star Trek Beyond, the new film also mirrors our current world climate of a battle between those seeking war and those striving for unity. Kirk's personal struggle, which is one the Star Trek universe has continually explored, is balancing one's survival instincts and loyalty to friends with one's nobler principles. As he declares in the trailer, "Better to die saving lives than to live with taking them."